instructions,as well as a small flyer for Femmewash. I received a fun package from London this evening! It was quite the fun pack.... 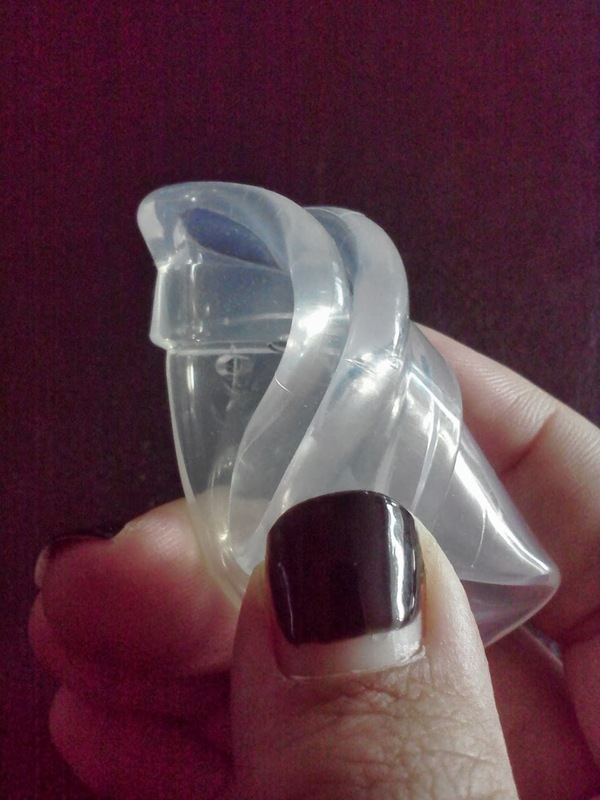 I want to THANK the Femmecup company for sending me their product to try out and review. I especially appreciated how everything in the mailer was 100% biodegradable. It's nice when a company sells an eco-friendly product and their packaging and mailing material support the same cause. The first thing I noticed about the Femmecup is that it is a one size fits all cup. I, personally, haven't seen any other cups marketed that way. I am a mother of two children who were both delivered vaginally so I have always been in the large or size two category. I am quite curious to see how this one fits me. The difference between sizes for most companies is usually measured in millimeters and milliliters so I imagine it won't make too much of a difference. I love their marketing material... the window cling sticker says, "I <3 femmecup.com" and the toilet sticker says "Forget Tampons! 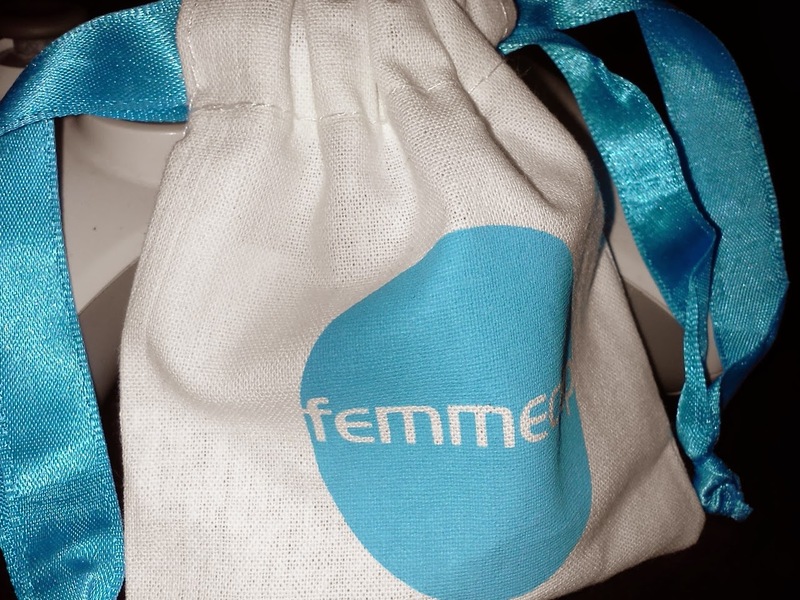 www.femmecup.com Femmecup is the future of sanitary products". On the back of the sticker (which is actually the side I photographed, above) it says, "Please use this sticker to tell more women about Femmecup. Apply it to the back of a toilet near you. THANK YOU. 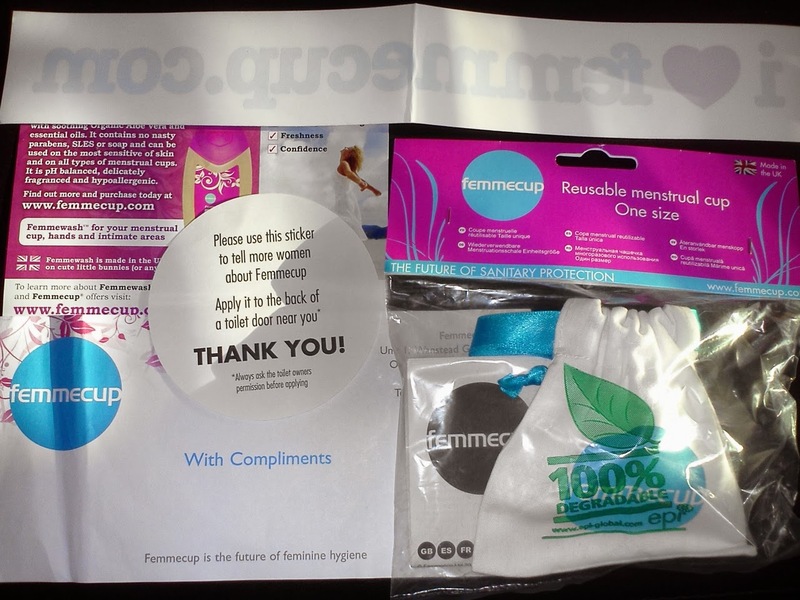 Always ask the toilet owners permission before applying".I have always wanted a toilet sticker to help spread the word about menstrual cups, so thanks Femmecup!!! 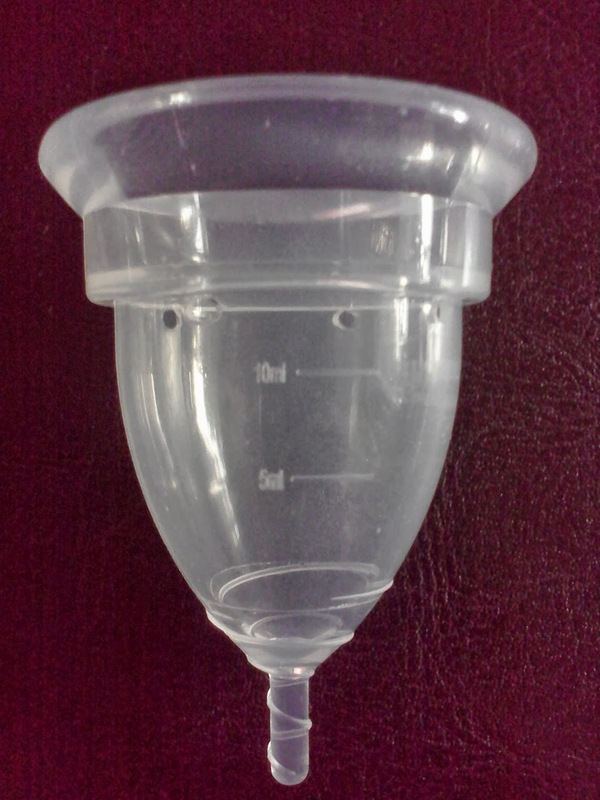 The Femmecup is one of a kind in several ways, starting with its unique design. We'll start from the bottom (stem) up. Femmecup has quite a short stem. As you can see from the photo on the left, the grip lines on this cup come in a spiral design that continues all the way down through the stem. You can't really tell from the photo but the lines are pronounced and efficient enough to grip the cup when it's slippery. This is a low capacity cup. The top measurement line says 10 ml. and the suction release holes are just above that. I'd say that at max capacity it would hold 12 ml but that would be AT the suction release holes. One of the most unique things I noticed about this cup is the fact that the rim of it is firm and sturdy and the body is soft and thin. As you can see from the photo on the right, Femmecup's rim is quite pronounced. This design point makes for easy use. As well as the unique design, I really appreciate the large holes that the cup has. This is a plus for me because along with making cleaning the cup much easier, it also helps the cup pop open and create a suction. The larger holes allow air to get into the cup for it to open up completely. I would say, this is the top two easiest cup for me to insert and get a proper seal in the quickest amount of time. I would have this be an out and about cup for that reason. The few times I have had to do a quick empty, rinse, reinsert I have had cups that need more negotiating and I was in the bathroom for up to 5 minutes. That can get embarrassing because people wonder why you're in the bathroom for so long! Ha!! When I inserted my new Femmecup, I went with the "7 Fold", I knew it would work out because of the firmness of the rim. I've learned, cups with a more "springy action" can handle the "7 Fold". I would dare to say that this would be the best fold for this cup and let me tell you why. When you try the "C Fold" and hold the base of the cup it opens up before you have a chance to insert it because the base is so soft. Using the "7" allows you to hold part of the firm rim at the base. When removing, this cup is a breeze. 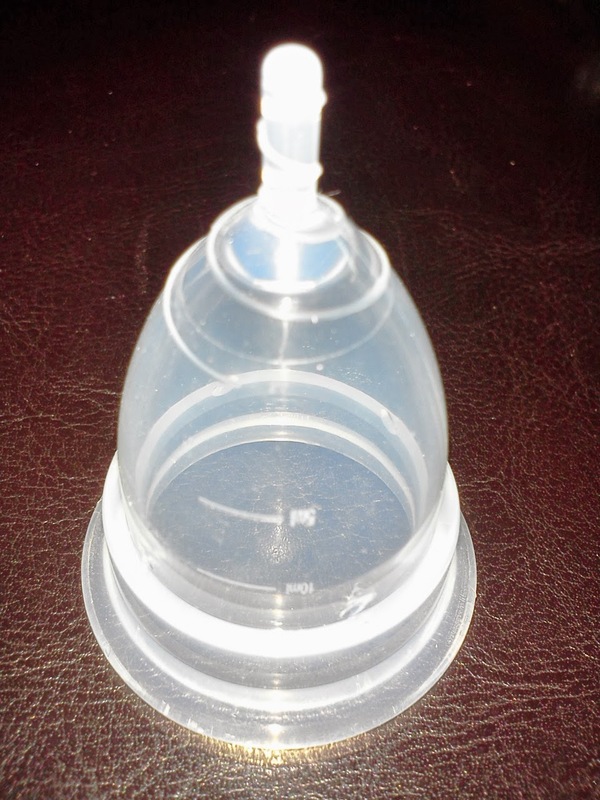 Again, thanks to the larger suction release holes, and them being pretty far down, it mostly breaks the seal on its own when you pull it out slowly. You will still want to pinch the cup slightly to make the removal as comfortable as possible but I found this cups removal to be the easiest of all. As far as I know, most women cut the stem off of their cups so the short stem on the Femmecup should be a perk. Overall, I would definitely recommend this cup to women. My opinion is that this cup would be best suited for a first time user, teens, or someone with a lighter flow. This is a petite cup and I found it to be very comfortable! 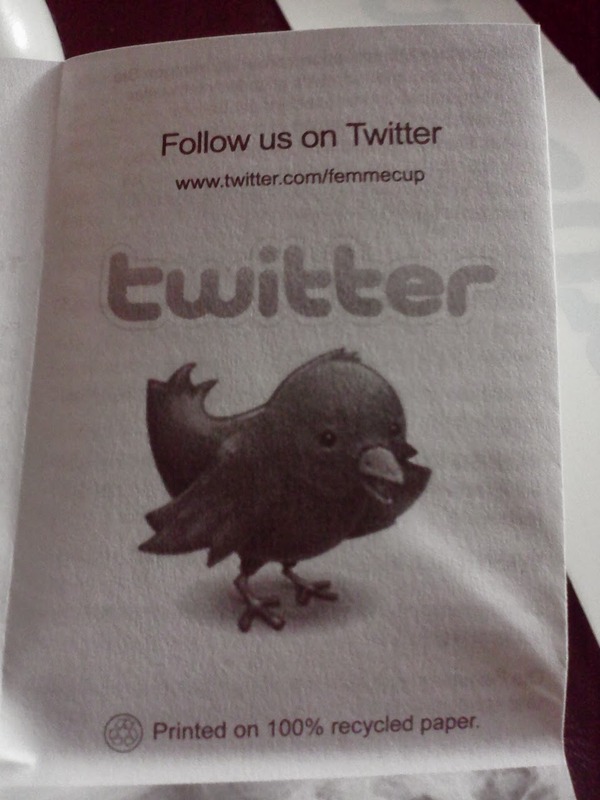 If you have any questions regarding the Femmecup, feel free to email me or leave a comment on my blog. Share my blog with your friends or on Pinterest!